Ranging in line printing speed from 500 to 2,000 lines per minute, these IBM line shuttle matrix printers deliver reliable continuous form impact printing, day-in and day-out. With media sizes from 4 to 8 inches wide, IBM thermal printers for direct or thermal transfer printing delivers the right label at precisely the right time. With media sizes from 4 to 8 inches wide, IBM thermal printers for direct or thermal transfer printing delivers the right label at precisely the right time. 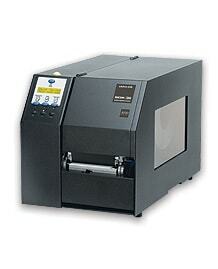 Customers that demand performance in demanding environments have for years chosen the IBM 4247 printer. Now available expertly refurbished and certified ready for maintenance service, these printers are available in a variety of configurations: ready for your IP network, parallel/serial, or still capable of performing in an older Twinax setup. The old continuous forms IBM InfoPrint 62 shown here is no longer sold or supported by Ricoh/InfoPrint/IBM, but still in available for use by self-maintainers. Options for replacement include new choices from MicroPlex, used InfoPrint 75/100, or expertly refurbished units from MicroPlex or Printronix.